One thing is for certain throughout the eastern part of both Carolinas — the water is still high. The flooding this past fall, coupled with lots of rainfall since then still has a good portion of both states soaked. Even in areas without standing water, the ground is extremely saturated. But that’s not all bad news. Especially if you want to kill some hogs. 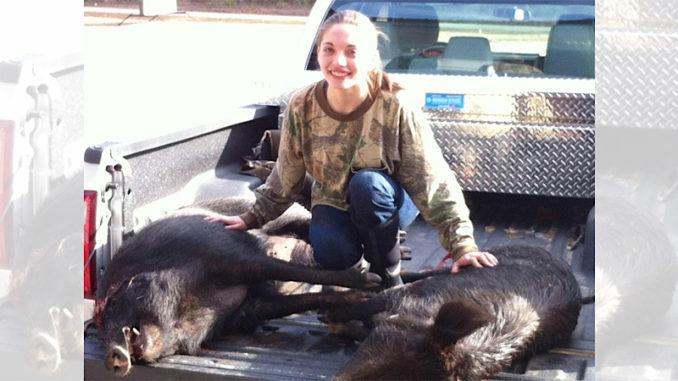 Drew Hartsell of Fayetteville, N.C. hunts hogs a lot near the NC/SC state line. He said while high water isn’t good for a lot of things, it’s just fine for hog hunting, especially in winter. “I like hog hunting in winter, especially on windy days. With the leaves off the trees, you can see for long distances in the woods. If you’ve got the wind blowing 10 miles and hour or better, that helps mask any noise you make. And as long as you walk into the wind, you’re not giving yourself away too early. Hogs have a great sense of smell, but their eyesight is poor. If you walk against the wind, you don’t have to worry about your scent. 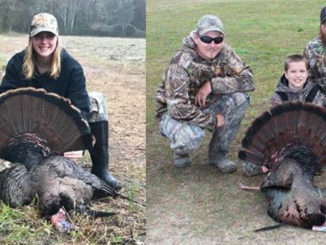 And you’ll see the hogs long before they see you,” he said. And it’s even better with all the high water, Hartsell said. “Hogs love to wallow in the mud. And there’s plenty of mud out there right now all around the eastern part of the Carolinas. I throw on some hip waders and carry a shotgun. I like to walk along parallel to any streams or rivers. You can’t get very close to them now, but if you walk along as close as you can, you’ll find where the ground is almost too wet to walk in. That line between somewhat solid mud and muck that will pull your boots off is where you’ll often find big paths and rooting areas. The hogs love wallowing right there,” he said. And Hartsell often spots hog sign long before he gets close to it. “You’ll see the mud all along the base of the trees. That’s where they rub against the trees after wallowing in the mud. It’s unmistakable. If you’ve never seen it before, you’ll still know it the first time you do,” he said. When he does find those mud rubs, he doesn’t sit back and wait for the hogs. “I’ll walk right along that trail. You can cover a lot of ground quickly, especially when you’re following a trail like that. Just walk into the wind and be alert. Sometimes you’ll hear them before you see them,” he said. And when he see them, he let’s them have it with a unique combination of shotgun loads. 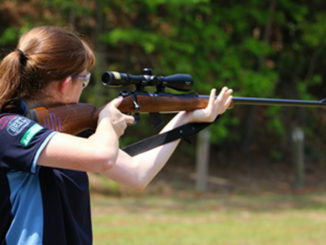 “The first load in my 12-gauge is a 3 1/2-inch load of Hevi-Shot Hog Wild. I’ll pick out the best hog and hit it with that. The second shell in my gun is a Remington Hog Hammer Slug. As soon as the pigs hear my first shot, they’re going to run. So I’ll put the bead of my gun on the furthest one of the runners and hit it with the slug. My third shot is another load of Hog Wild. I’ll shoot one of the slower or clumsy hogs, or one that’s too confused to run off. I like to alternate my loads like that. I don’t know if it makes a lot of sense, but I’ll tell you it’s a fun way to shoot hogs,” he said. Hartsell said he thinks hogs are often overlooked as game animals. “I don’t understand why more people don’t hunt hogs. You can do it year-round. 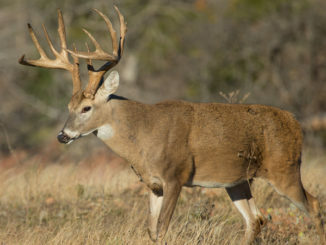 It’s a great way to extend your hunting season, it’s a lot of fun, and it puts some great meat on the table,” he said.